The Hall Royd Junction layout is notionally based sometime in 1966: the Class 110s have arrived, but steam is still the prime mover for most of the freight, and for the summer excursions to the Lancashire coast. In this scheme of things the loco-hauled carriage stock is primarily BR Mark 1, and the DMUs Classes 110 and 108 on the Calder Valley services, and Class 105s coming into Todmorden from Burnley via Copy Pit. But, as always, there has been the temptation to widen the net somewhat, and run the 10.30 a.m. Liverpool Exchange - Newcastle train as it appeared just before the 110s took over in 1962, and formed of LMS stock, together with a excursion rake formed of compartment stock and hauled by a Crab. Both these rakes therefore need to appear in a typical 1962 paint scheme. 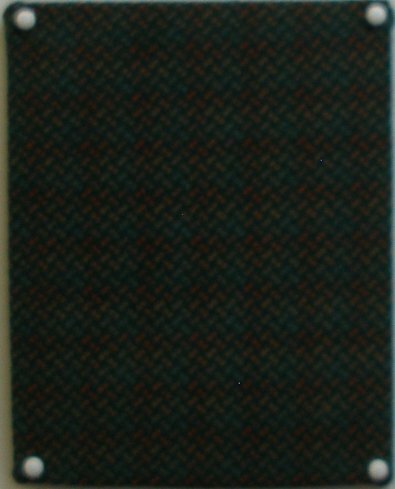 All classes: later BR green with either whiskers or yellow panels OR the early form of BR blue (small yellow warning panel). The blue liveried cars were placed initially within the existing green rakes as they became available. The unrestored interior of the trailer provides details of the original interior. LMS vehicles: the early form of the 1956 maroon painting scheme (survivors would be slated for early withdrawal)**. There were still respectable numbers of LMS vehicles available to form specials in mid-1966, but they then quickly died out and had gone by late 1968. Here is a remarkable photo taken by Eric Bentley of 44818 leaving Rochdale Walmsleys ( Bury) Ltd special train no 2 1Z13 08.55 Rochdale – Blackpool N 08.58 Sat 14 May 1966. Remarkably this shows a 10-coach rake of 'pure' LMS-designed stock, even to the point of having only two brake vehicles correctly orientated at either extremity. 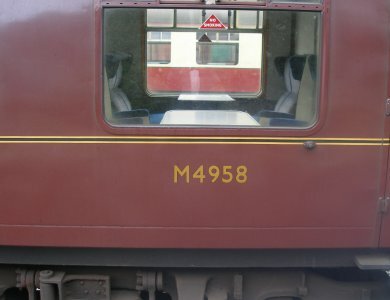 BR Mark 1s: both the early and later forms of the maroon painting scheme, and the early forms of the blue and grey scheme. The few remaining maroon vehicles were looking very tired in 1972. I m grateful to David Ball for permission to publish a screen grab from a cine film he shot in 1972 in Todmorden. 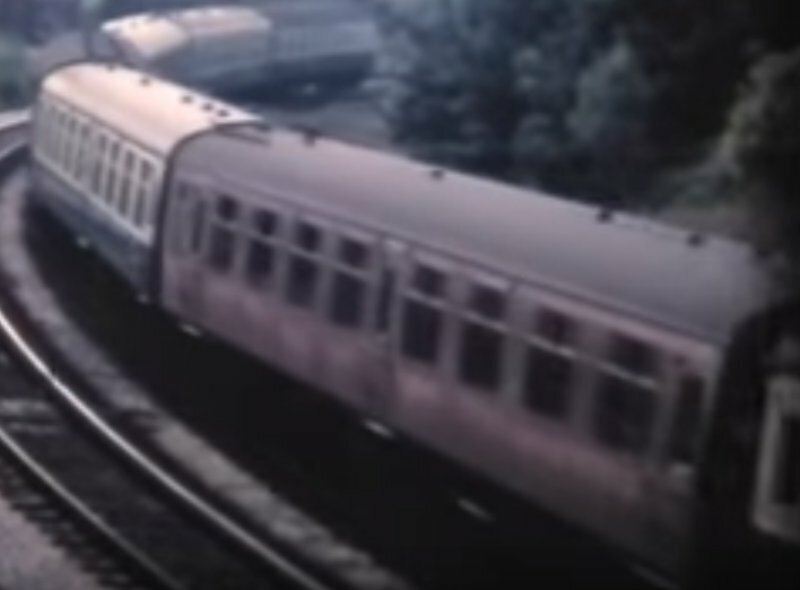 David filmed a number of trains that day, and filmed up and down the Calder Valley line during the year, but this is the only instance of a maroon vehicle appearing in David's footage, so neatly dating the demise of the maroon coach. The screen grab also shows the highly distressed nature of the paintwork at this juncture. 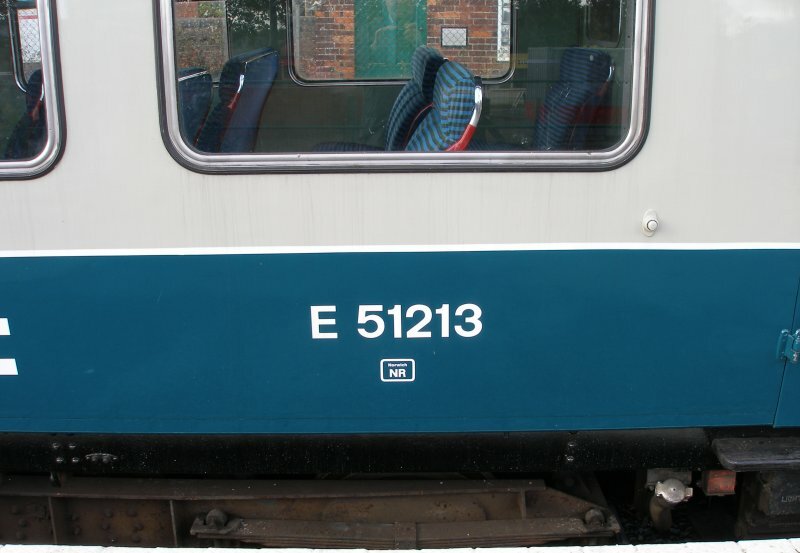 Parkin notes that blue and grey and blue liveries started to appear in 1965, but workshops had to update their equipment, and blue and grey only started to appear from all workshops in 1966. This is probably one of the last maroon vehicles in service. On the subject of the last maroon Mark 1s, Paul H writes: "I was living in London in the early 70s and participated in the Hymek Swansong tour on 22 September 1973 from Paddington to Didcot. I well remember the amazement of everyone when a train of maroon stock was held at signals awaiting joining the line we were on. 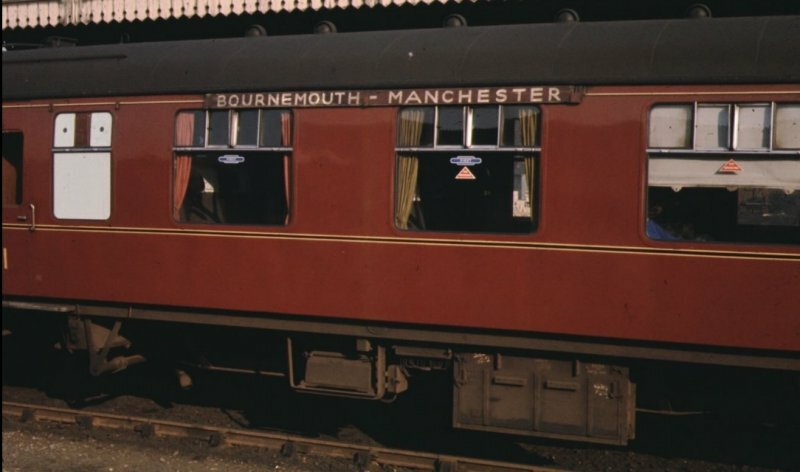 The coaching stock was entirely maroon and was very faded, broad bands of almost pink beneath the windows. Whether this was a rake held for occasional use or was a gathering of remaining stock heading for repaint is anyone's guess but I think it was the last maroon stock I ever saw in service." This occurred at Westerleigh Junction when the train passed in front of a Class 45 on the all maroon test rake of Mk1's waiting on the North to Southwest curve. For the record, the train ran London Paddington - Ealing Broadway - Slough - Reading - Didcot - Swindon - Westerleigh Jn - Bristol Parkway - Patchway - Severn Tunnel Junction - Maindee North Jn - Pontypool Road - Abergavenny - Hereford - Worcester Foregate Street - Worcester Shrub Hill - Norton Jn - Evesham - Oxford - Didcot - (reverse of outward route) - London Paddington. 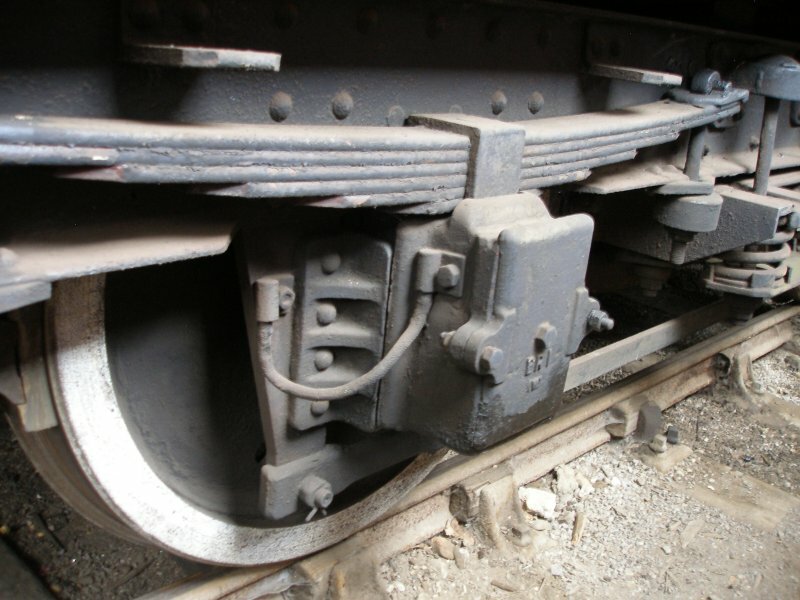 Another assumption made by modellers is that the Brake vehicles are always marshalled at the end of rakes with the brake compartment at the outer end, as shown above. 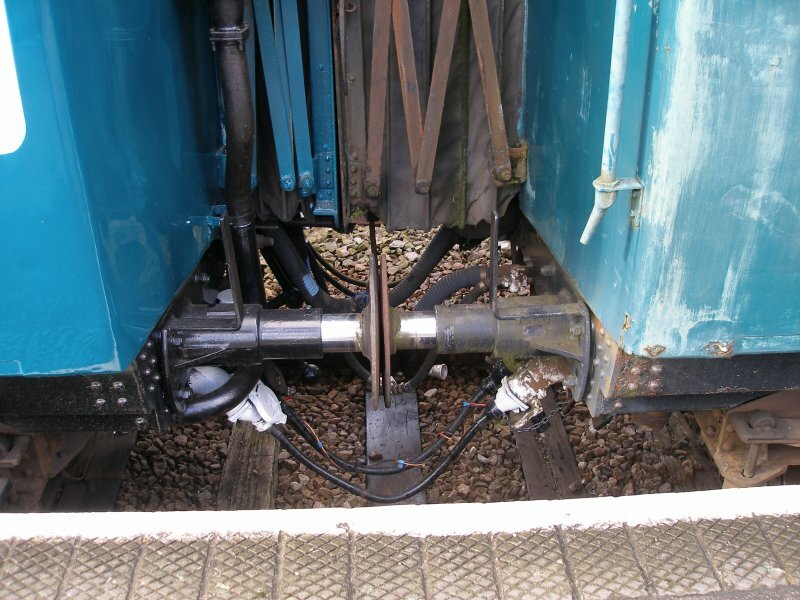 In reality, the brake compartment could reversed, or not even in the final vehicle, or better still, another brake vehicle added as a strengthener, resulting in two braked vehicles at one end. Study of photos for this is mandatory. Yet despite all this fast-and-loose marshaling, many trains were carefully marshalled according to the appropriate railway internal publications of the time. Membership of the BRCoachingStock group on Yahoo! is highly recommended as some of these books have been digitalised and placed in the 'Files' section. Keith Parkin's 'British Railways Mark 1 Coaches' book published by Pendragon is highly recommended, and I make no excuse from drawing on it heavily. BR maroon was introduced in 1956, replacing the earlier red and cream. For the record, BR was having trouble keeping the upper cream panels clean, and were finding that these had to be repainted when a cheaper and quicker 'revarnish' would have been appropriate. For those who claim that the maroon adopted was the old LMS colour, Parkin provides detailed notes on the extensive research work BR undertook to create a formula that could be sprayed and so greatly reduce the time a coach needed to be repainted (and therefore be out of traffic). In 1956 the maroon livery was outshopped with old gold and black lining. 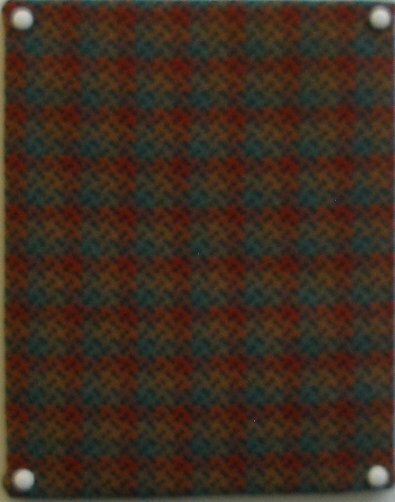 This was similar to the lining used for the red and cream scheme. Parkin writes: "The lettering positions and sizes remained the same as with the crimson and cream livery though gradually the old gold was replaced by yellow." This is crucial for anyone ordering the excellent Fox Transfers, as Fox offer both sorts but does not provide guidance on its deployment. It follows that in a 1966 scenario there are going to be vehicles with both types of lining. So any vehicles that are running as in a 'clean' livery with black underframes should have yellow lining, and anything that is looking distressed with the underframes painted 'heavy track dirt' colour could be 'old gold'! Fox supply the lining in two sheets - colour/black/colour and colour/black thus: . 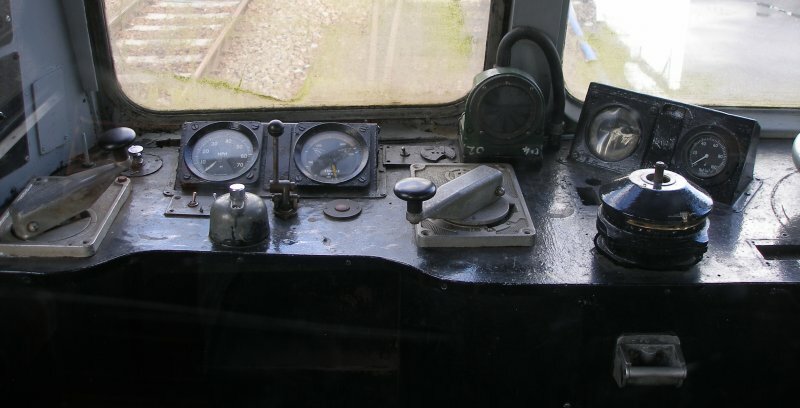 The problem with photos taken in the preservation era is that, of course, there is no guarantee that the new railway managements have got it right either. Here are two examples found on the North Norfolk Railway on 27 August 2016. Although similar, both lining and numbering differ, and this introduces another factor, fading due to the action of the sun. It will be apparent that coach M4958 has lining and numbering close to 'old gold', whilst M4236 has lining and lettering closer to straw. Running the PaintShop colour selector tool over these two colours, it is apparent that they are in the same red/yellow (i.e. orange) part of the spectrum. For comparison, here's a maroon vehicle formed into the Pines Express. Note the very dark brown roof - certainly not the light grey that many Ready-to-Run models are painted. The lining is clearly 'old gold', as is the figure 1 applied to the door. The underframe is a mid-brown: Humbrol 98 is a good match, although the slightly lighter 110 sits well on DMUs. Also there are darker areas where oil may have darkened the surrounding areas, such as on the 'V' of the brake hanger, and along the bottom of the battery box lid. When applying the cantrail lining, the colour goes to the top, with the black line underneath. 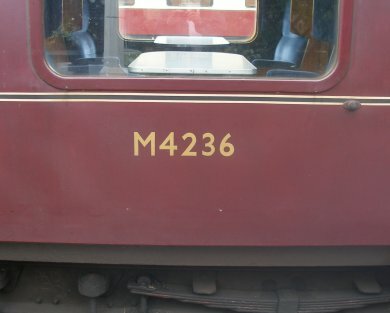 And finally, to illustrate real 'old gold', here is an example of the lining and lettering as applied to cream and crimson stock, also at Sheringham. 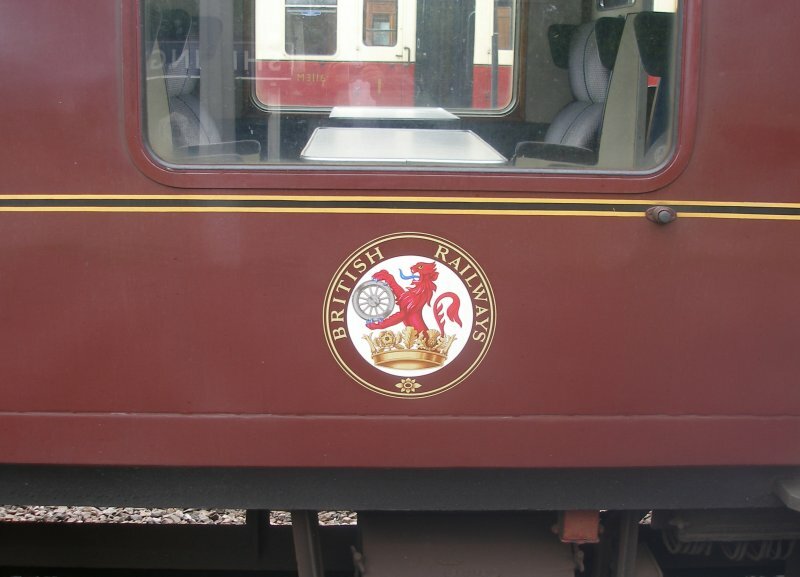 Parkin writes that the BR crest was placed as near the centre on the bodyside as could be managed. He writes: "There was no simple rule to decide which vehicles were to be graced: its use was completely random though at one stage the Western Region did try to marshall complete sets with or without its presence". 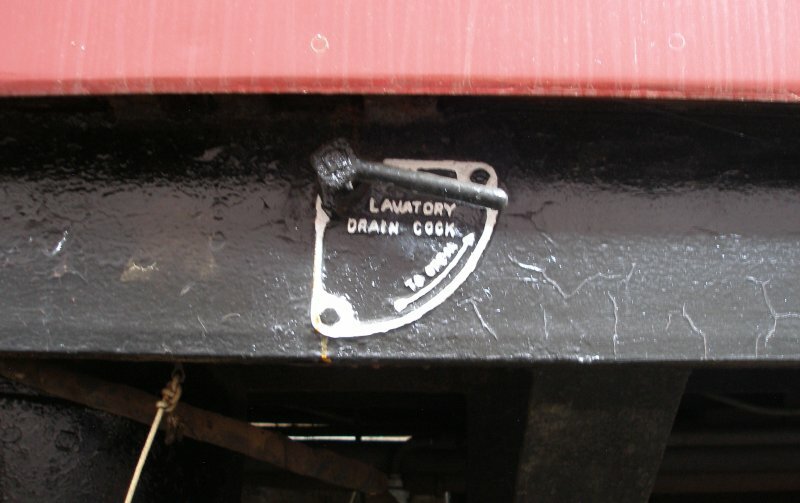 It maybe recalled that the loco crest had originally been produced facing both left and right, so that it faced the front of the loco. Apparently they did the same for the coaching stock, and Parkin notes this was a bit of a nonsense with DMUs, or indeed with general coaching stock. By 1960 it was realised that only the left hand facing lion had been approved, and right hand facing lion was discontinued. Chris Evans in a Facebook post has noted that the application of roundels was not initially intended to be random. 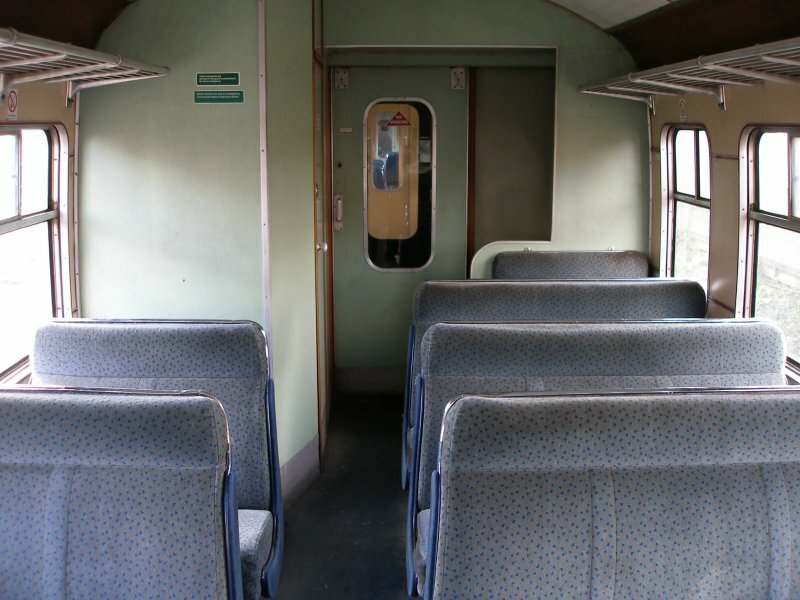 Gangwayed passenger coaching stock on most regions was, in the late 50s/early 60s, maintained as either Maintenance Category 'A' (for principal express trains), 'B' (for other main line trains not exceeding 90mph) or 'C' for limited-life, low-mileage vehicles restricted in use to excursion and local traffic and their repair periodicty (Shopping Proposal or SP) periods set accordingly. 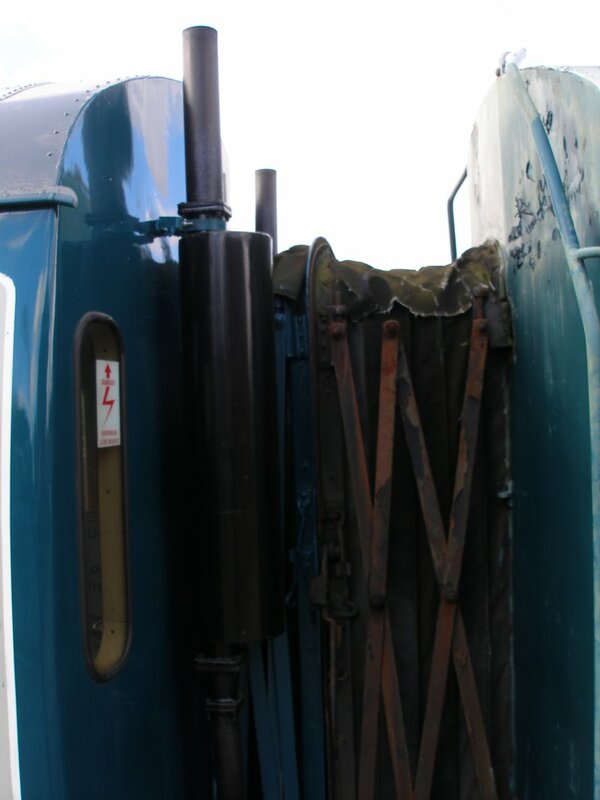 Roundels were intended only to be applied to category 'A' vehicles as they emerged from works but, inevitably, with the delivery of newer coaches (not necessarily with roundels, even though new!) the allocation of individual coaches to categories changed quite frequently according to demand and the 'system' soon became quite random. Generally speaking catering and sleeping vehicles (all being Category 'A' stock) carried them but full brakes (with one exception, the Thompson-design BGs used on the 'Elizabethan') never did. The only non-gangwayed stock to carry them were DMU and EMU power cars, although there may have been a few instances of some trailers appearing with them by mistake. But where to place the roundall? As a genera rule, it is placed in the centre of the vehicle. 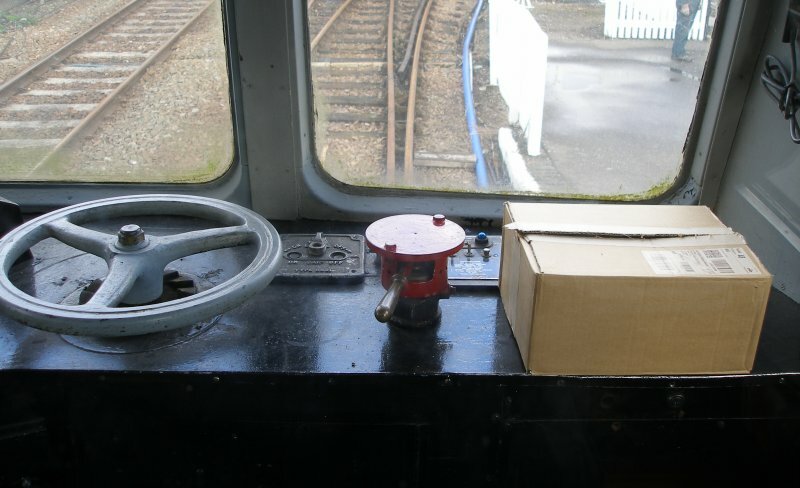 In some instances, this is the centre, over the battery box, and is placed without reference to the window above. However, this looks odd, and more often the roundall is actually centered under the window closest to the centre of the carriage side. Exceptions are where there is a door in the centre, in which case it seems to then be centered under the window to the left. 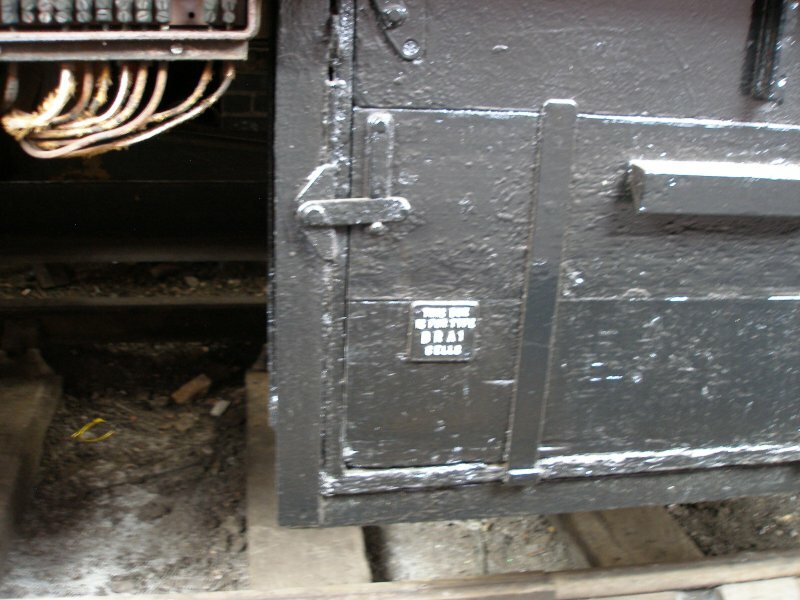 Some catering cars had the branding to the right with the roundall then ranked to the left of the centre line. In the crimson and cream era there were some early applications of the number to the left hand end of the vehicle side, but the right hand side was adopted pretty early. The last (right-hand) letter or numeral is aligned inboard of the edge of the window above it, when there is a window either next to the end of the coach or there is a door at the end with a window next to it. In the event that there is a door at the end with a plain panel next t it (opposite the door to the lavatory in the corridor), then the spacing is as if there was a window above! For colour, I used Coach Numbering off white FRH4012. One consideration with selecting both lining and lettering colours is your existing stock. The modeller has two choices: namely consistency, with all stock matching a single 'standard' or range of different coloured elements. Probably the latter would better reflect the real railway, with different workshops interpreting the instructions from Head Office differently, and also using up existing stocks of both paint and transfers. And, of course, not all lettering is created using transfers. Back in the early 80s there was a wonderful documentary showing how some of the old skills had survived into the modern railway. I was particularly struck be the man at Wolverton well into his 70s who had been retained because he could produce hand painted lettering as good as any transfer, and so could 'letter' a vehicle with non-standard lettering. I mention this because it shows that after the demise of steam, there remained considerable scope for local variations both in text, style and colour. 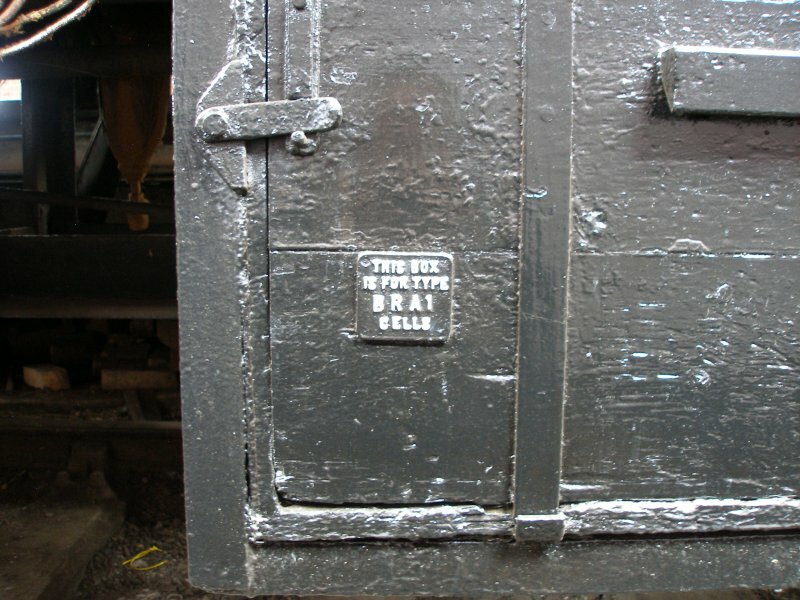 Most persevered coaches have either lost their paintwork or have been restored, but at the East Anglian Railway museum a panel has been preserved showing original numbering and maroon livery as applied to teak LNER stock. 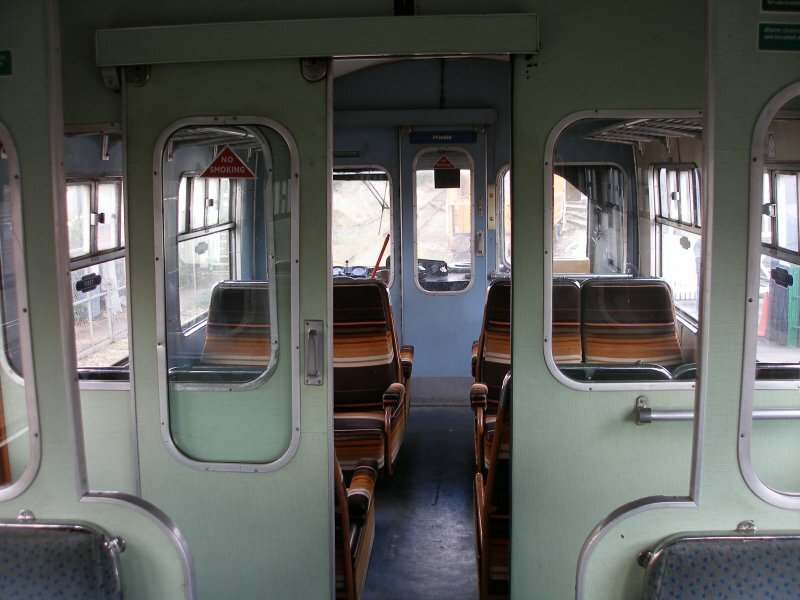 During 1964 and 1965 the bodyside colour was carried round onto the ends of the carriages. This was initiated by Eastleigh who found it made painting more efficient when using airless spray. This was only applied to maroon and green vehicles. The Southern from 1960 introduced yellow and red cantrail bands to denote first class (yellow) and buffets (red) on its boat trains. 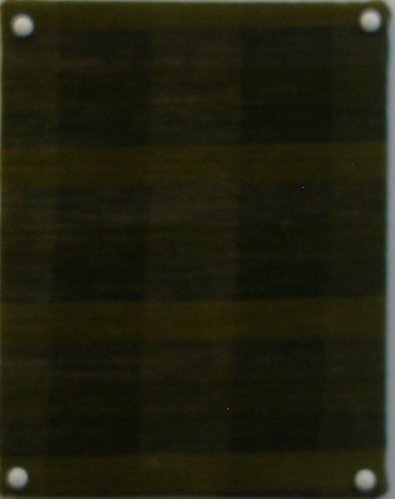 By 1963 the yellow bands were being used throughout the system. On maroon stock the red band only appeared on two vehicles, E1770 and E1771. These bands were generally ABOVE the upper lining band, but some strips covered it. According to Parkin, it started to appear on repaints after 1959. But Parkin notes that repaints of this stock was slow, and notes that E48005 was observed still in crimson in 1964. 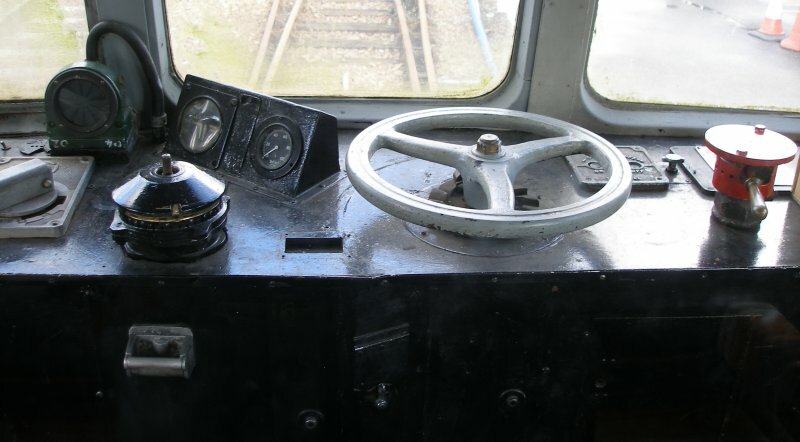 Some of the LMS-designed porthole Brake 2nd stock actually appeared in blue and grey, and I have seen a photo of such a vehicle coupled to a Black 5 at Bury Knowsley Street in 1968. The reason for this is that it was built by BR and was judged to be young enough to justify the new livery, but they cannot have lasted very long in this form. 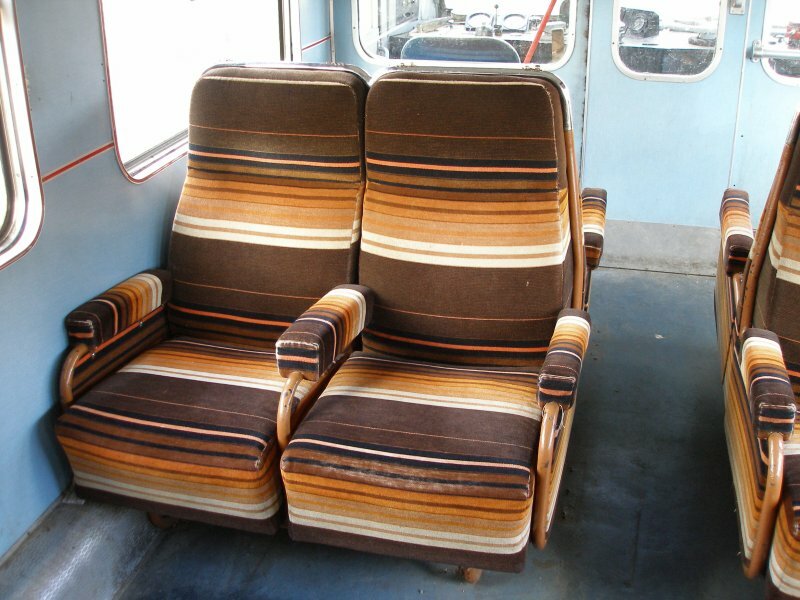 The East Anglian Railway Museum has on display three sample of seat covering used by BR in its DMU fleet. 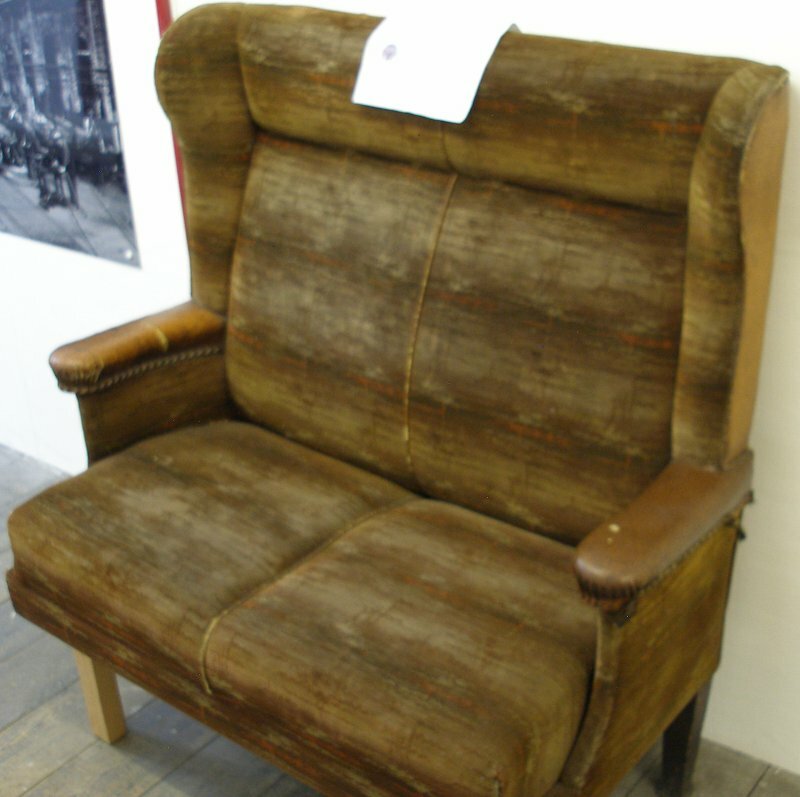 LNER stock had a number of seating styles, but here is an example also reserved at the East Anglian Railway Museum. For total accuracy you need a good colour photograph of the specific vehicle being modelled! ** For anyone modelling LMS stock the definitive books by Bob Essery and David Jenkinson are mandatory. The original book was 'An Illustrated History of LMS Coaches 1923 - 1947', and then this work was widened out into a three volume set. Crucially, they provide withdrawal dates. Basically, a lot of LMS stock was retained in remote carriage sheds in the late 50s and early 60s and were brought out to operate weekend seaside excursions, so might only be run on a handful of weekends in the summer season. Beeching decided this was a nonsense and ordered that stock used for excursions only should be scrapped, which, of course, coincided with the arrival of the long-distance DMU on Trans-Pennie services, so LMS stock disappeared very rapidly in the period 1963-64. It seems curious that any LMS-derived day time stock (so ignoring Parcels and Sleeper stock) would have been painted in Blue & Grey, and it would seem that these shiny vehicles didn't last long in their new guise. I have seen two photos of vehicles so painted. One appears on page 473 in the August 2006 issue of 'Back Track'. This shows 45156 departing from Bury Knowsley Street with a holiday special for Newquay on 5 July 1968. This is noted as the last steam-hauled passenger departure from Bury. However the first vehicle appears to be M24735M (print resolution issues). 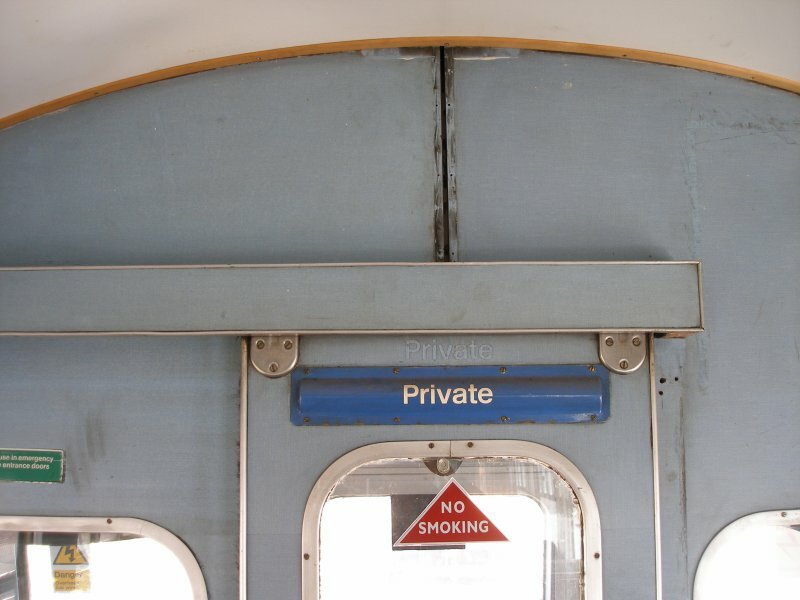 The '1' on the door next to the loco suggests that this is indeed a Composite Corridor with Porthole window. This was built in 1950, so never carried LMS livery. Jenkins and Essery don't provide a withdrawal date, simply noting many of Diagram 2159, Lot 1586 were 'still extant' in 1968. The other image is in the original 'LMS Coaches' book by Jenkinson and Essery on page 104. This shows a final Period III design of BTK M27001M (D2161). The coach is shown in Blue & Grey at Euston, and the authors suggest that these BTKs were the only variety of LMS pattern day coach to be so treated. 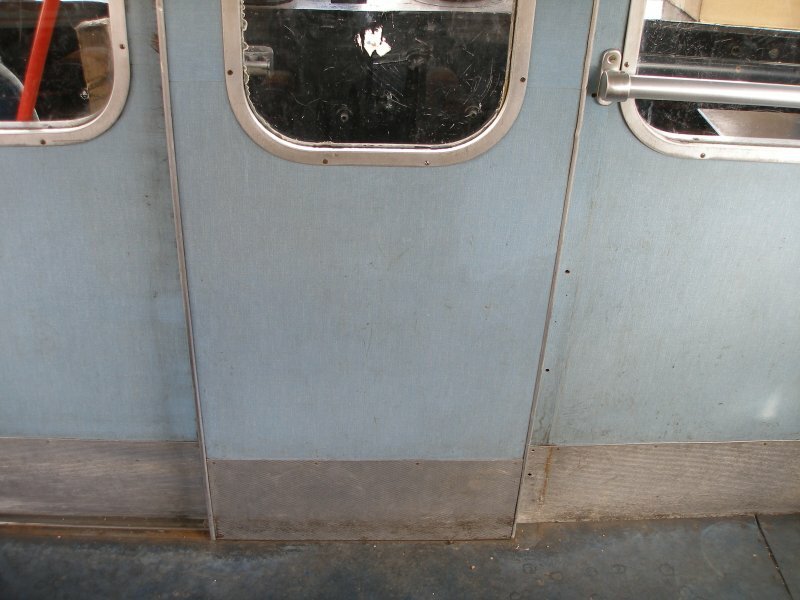 So it would seem that any 1950 built coaches might be so painted, but cannot have lasted long. 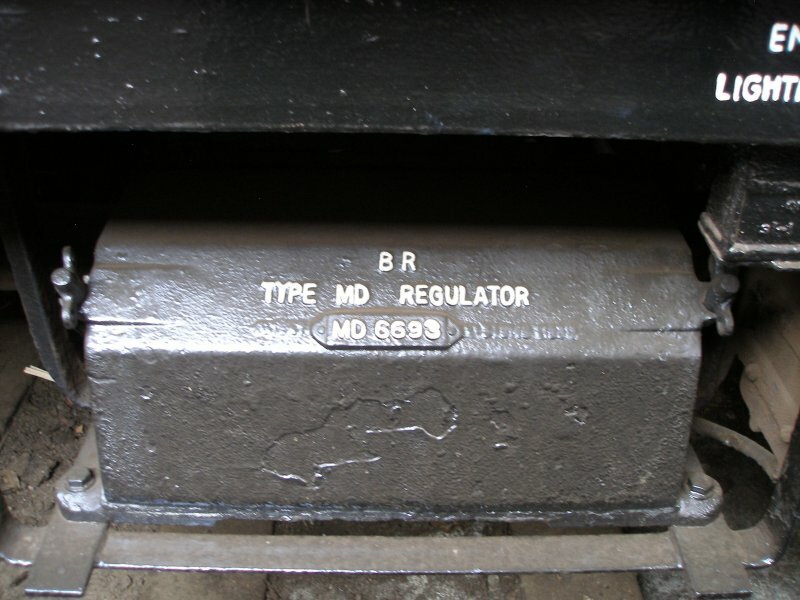 With the notable exception of 70013 'Oliver Cromwell', all locos requiring some form of re-paint in the last three years were outshopped without lining. For classes which were expected to be withdrawn by the end of 1966 or early 1967 such as the Jubilees, they could expect a partial repaint, so 'Alberta' retained its lining on the loco, but was paired with an unlined green tender. One Jubilee near the end was photographed at Bradford Forester Square with a lined BLACK tender. The Brits were due for later withdrawal, disappearing as a class on 31 December 1967, and so had more extensive repaints. The image below, taken on 5 March 1966, shows 70049 outside Warrington Bank Quay in plain green livery. Photographer Eric Bentley, Copyright JK Wallace, all rights reserved.